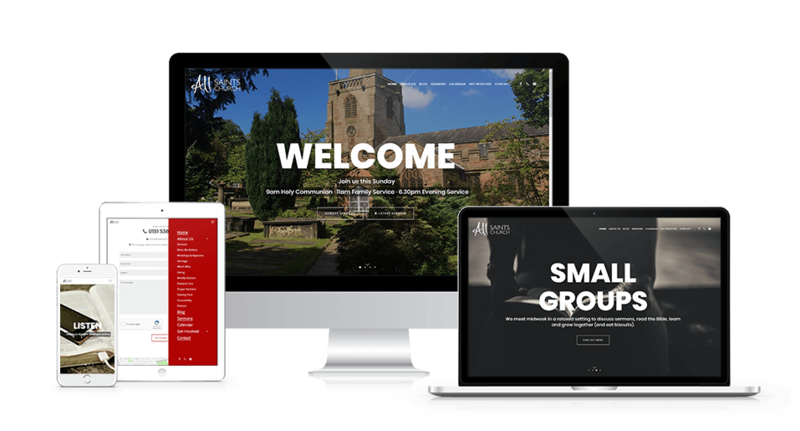 All Saints is a large congregation of all ages with thriving youth groups, and they needed a vibrant and welcoming website to match. Their Sunday worship is tailored to meet the needs of all the community and there is a wide range of weekday activities with lots of groups all needing their information to be easily accessible. All Saints approached Innobella Media to develop a modern, responsive website that looks great on all devices and is easy to navigate. 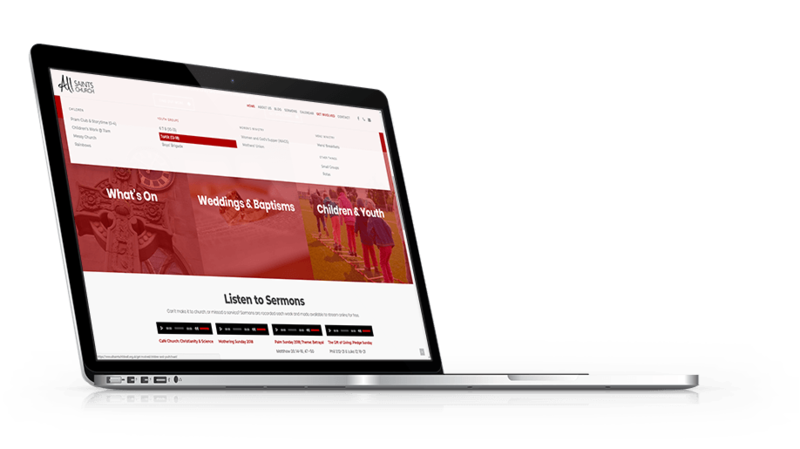 The website includes features such as a blog for latest news updates, an interactive calendar detailing the church’s events, and the church administrators are also able to upload audio recordings of sermons easily so that members of the congregation can listen again online.